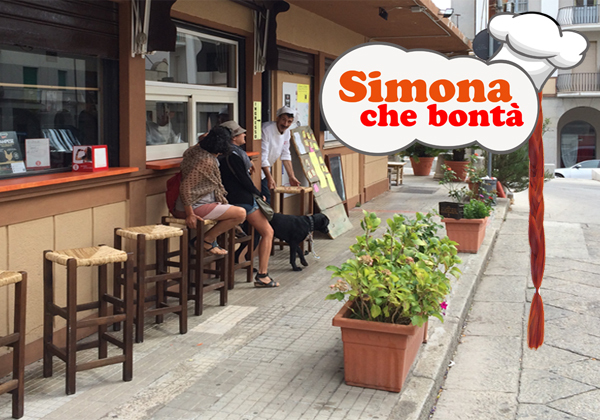 Simona Che Bontà is a gourmet slow food joint in the center of Nuoro, in Sardinia (Italy) and a local family business. Simona will be always very happy to cook amazing, delicious, gourmet slow food meals with a smile, a chat and plenty of sympathy. Very close to the Nuoro University, where we have been working for the UniNuoro and DECA Master projects, it didn’t take long for us to become regular customers at first, and friends immediately after. Since Simona was just launching the gourmet food joint, focusing all efforts on the location, the kitchen and the service and was in the need for some basic branding, we gifted some of our summer time to create a nice logo for Simona Che Bontà, and basic promotional materials such as handouts announcing to new gourmet joint in town, to be distributed locally in Nuoro.